Everything is back to normal. No more diabetic-causing chocolates, no more thorny roses or itchy stuffed toys. Kidding. I love Valentine’s day. Everybody seems to be…. floating. Yes, that’s the word, floating. I see people smile and greet strangers just because it’s Valentine’s day. Where did this all come from anyway? So, my curiosity and the internet got me this.. Apparently, 1 story states (choosing the most interesting) Valentine may have been killed for attempting to help Christians escape harsh Roman prisons, where they were often beaten and tortured. According to one legend, an imprisoned Valentine actually sent the first “valentine” greeting himself after he fell in love with a young girl–possibly his jailor’s daughter–who visited him during his confinement. Before his death, it is alleged that he wrote her a letter signed “From your Valentine,” an expression that is still in use today. Although the truth behind the Valentine legends is murky, the stories all emphasize his appeal as a sympathetic, heroic and–most importantly–romantic figure. Well there you go. Girls all over the world need to thank this guy. But don’t we find it weird that it’s mostly girls that get spoiled on this special day? It’s a day for couples yet girls get more out of it than guys. Materially speaking. 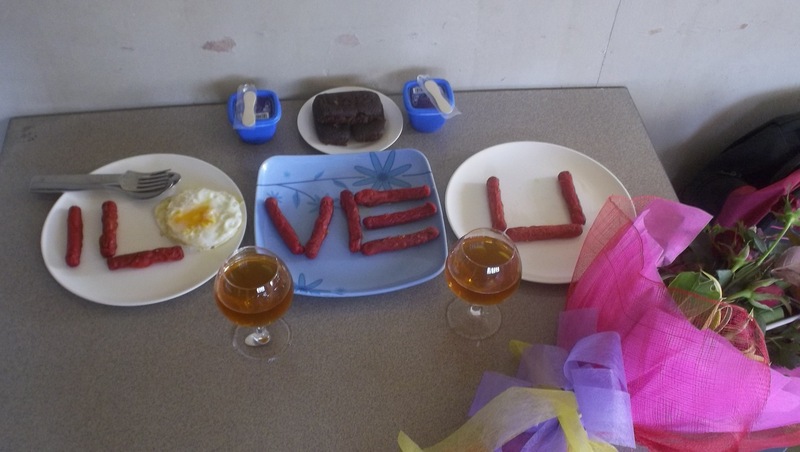 Anyway, you really didn’t think I’d end a blog without sharing my Valentine experience did you? I’m a girl. Well, a woman for that matter.. and you guessed that right. I was spoiled. But the great thing about my day was that I did not just spend it with my loved one, I got to spend it with my family and friends as well. My boyfriend stopped me from whatever I was doing, played “Far Away” from Nickelback on the itunes and asked me to slow dance with him. It was one of the most romantic 5 minutes of my life. Valentine’s day is looking pretty good. 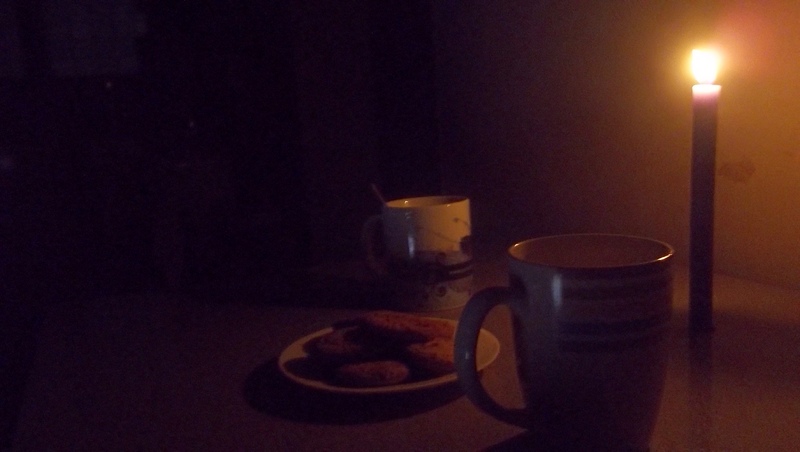 Got bored so I prepared coffee and cookies over candlelight. Because candlelight dinner is too mainstream so we opted for a candlelight snack instead. My brother and I had a misunderstanding and I haven’t talked to him for weeks. It is the love day after all.. So I went to his Tattoo shop and gave him a single long-stem rose. See? Girls are not the only ones that need to be spoiled. So of course, we hugged and made up (after bawling our eyes out- so damn emotional!). 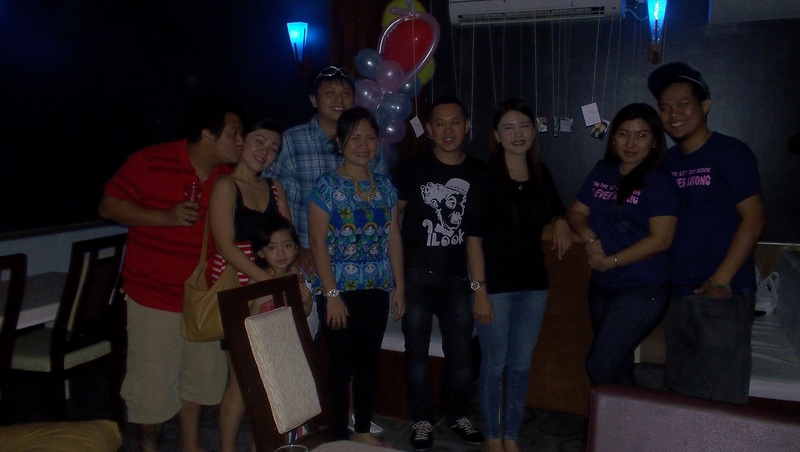 We also treated our mom to dinner where we gave her a bouquet of red roses. Fine. Everybody is getting spoiled today. After buying a couple’s shirt (we’re corny that way…), my boyfriend and I bought a pack of chocolates and gave them out to total strangers in the mall while greeting them a happy valentine. Seeing their shock and smile (yes, that’s in sequence) made the day even more special for us. Getting spoiled. I did say everybody right? Dinner and drinks with friends and their partners was a good way to end the night. We even surprised our boys with the set-up (thanks to my friend Abigail’s efforts). They had no idea that we planned it out. My boyfriend kept asking me when we planned it, how we planned it and how we got away with it. Boys, just because you’re with your girlfriends almost 24hrs a day does not mean we can’t get away with secrets. Trust me. We can. And we did. So there you go. That was my Valentine’s day… I’m hoping Valentine’s day 2014 will top that. But I do wish that we spread love not just on the 14th of February but everyday of our lives. So, How was you Valentine?